Throughout the 2016-2017 National Hockey League season, on a bi-weekly basis, I'm going to write about the top five and the bottom five teams (my opinions of course!) in the NHL in that two week span. I want this to be fun as it's for you, the fans. I hope to get the conversation moving. Feel free to comment on my top five and bottom five teams if you agree or disagree. Tweet me back if you agree or disagree. Call me a moron, if you feel inclined. I'm open to the criticism that comes with my hot takes! That being said, today's top five and bottom five teams are my predictions for the five best teams and the worst five teams during the 2016-2017 season. The best being the Stanley Cup Champion and the second best being the runner up. The Sharks made a trip to the Stanley Cup Finals in 2016 that didn't go as well as they would have hoped but the Sharks return the same roster, but now, with more experience than ever. It's a roster that has one of the best players and playmakers in the NHL in Joe Thornton as well as a strong cast of young studs. 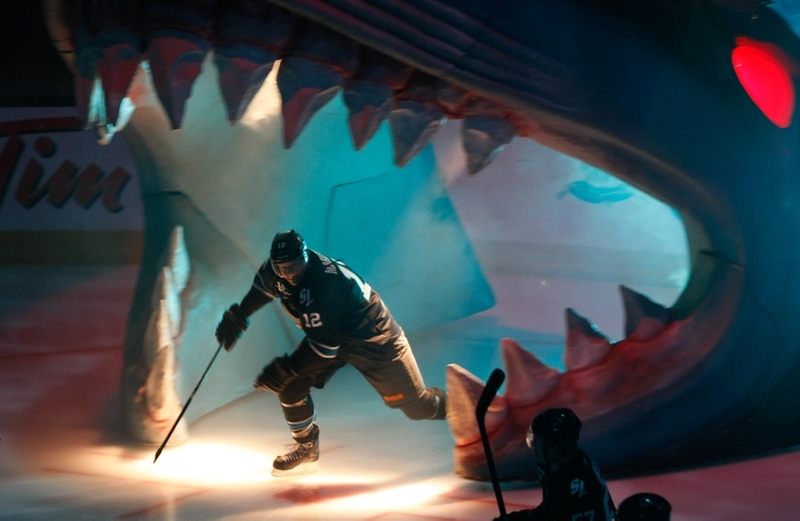 A more successful trip to the Stanley Cup Finals isn't far fetched for the Sharks. The Panthers won the Atlantic Division last season with 103 points, which was the third highest total in the Eastern Conference. With every passing season, this cast of young stars is going to continue to get better. The Panthers have NINE players born in at least 1991 (25 years of age or younger). Do not underestimate how good this team is and can be. Experience is their only downfall. The Penguins are the defending Stanley Cup champions returning their championship roster. Don't overthink that they won't keep the Stanley Cup, especially if they stay healthy. However, staying healthy for Pittsburgh is hard to come by. Sidney Crosby is already out with a concussion and it's unclear how long he'll be out. Don't expect the Penguins organization to rush him back. The Predators have been a strong team for a number of years that just couldn't get over the hump. This year and the addition of P.K. Subban might get them over that hump. He's a game changing player with a personality the NHL needs a lot more of. A trip to the Western Conference Finals or beyond is not unreasonable for, "Music City U.S.A."
The Capitals are a team that have been picked by multiple analysts to win the Stanley Cup every year since 2010 (this year included) and have always fallen short. They return their Presidents Trophy winning roster with the addition of a good depth line center in Lars Eller. They did get just a little bit better and they were already really good. They need to prove they can face the elephant in the room and not be under some divine jinx and make it to the Eastern Conference Finals before I can predict they'll be Stanley Cup Champions ever again. The Oilers were the second worst team in 2015-2016 gaining just 70 points and then they traded Taylor Hall and Nail Yakupov. The Maple Leafs were the worst team in 2015-2016 collecting just 69 points which gave them the top pick. The addition of Auston Matthews will help but not enough to get out of being a basement dweller. This is easy: John Tortorella. Nobody on this roster stands out to me. They're young and they'll get better over time but the getting better doesn't start this season. There is a long winter ahead in Winnipeg. Sure, they have Carey Price who is arguably the best goaltender in the NHL and a top NHL defenseman in Shea Weber but team camaraderie seems to be at an all time low. Don't underestimate how much damage that will do to team morale. They'll likely dig themselves in to a hole early and keep digging throughout the season after getting down on themselves.